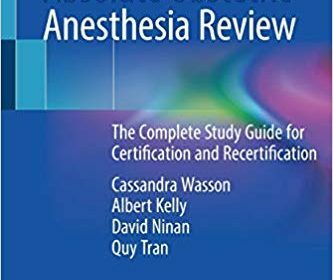 This concise, easy to follow review of obstetric anesthesia follows the outline set forth by the American Board of Anesthesiology (ABA), making it an invaluable resource for in-service exam and board exams. The book is divided into four sections, beginning with maternal physiology, followed by maternal-fetal considerations, then pathophysiology of complicated pregnancy, and finally problems of term and delivery. Written at the fellow-level, it provides anesthesiology residents, obstetric anesthesiology fellows, and any anesthesiologist providing care to obstetric patients testable information for the boards, as well as practical tips for clinical practice.